This early edition of In The Greenhouse brings some interesting hybrids and species. 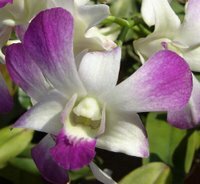 All plants mentioned are from the New World, with the exception of the Dendrobium hybrids, which originate in Southeast Asia and Northern Australia. 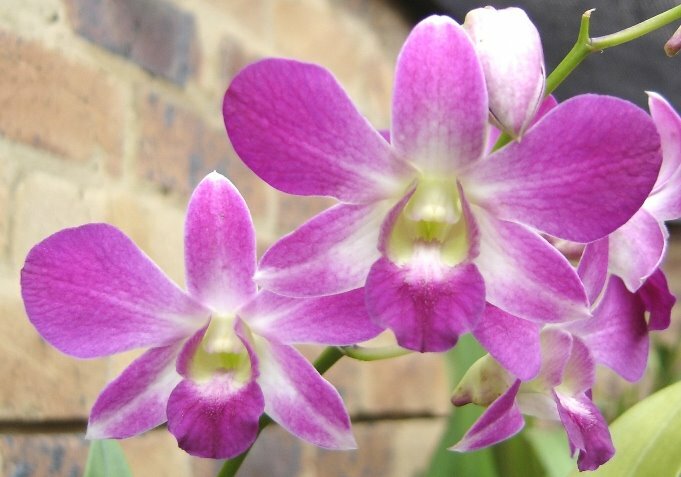 With the continued rain all through the cooler days, snails have been an incredible problem and several Phalaenopsis and Miltonidium flower spikes have been lost to snail damage. Slimy bastards. 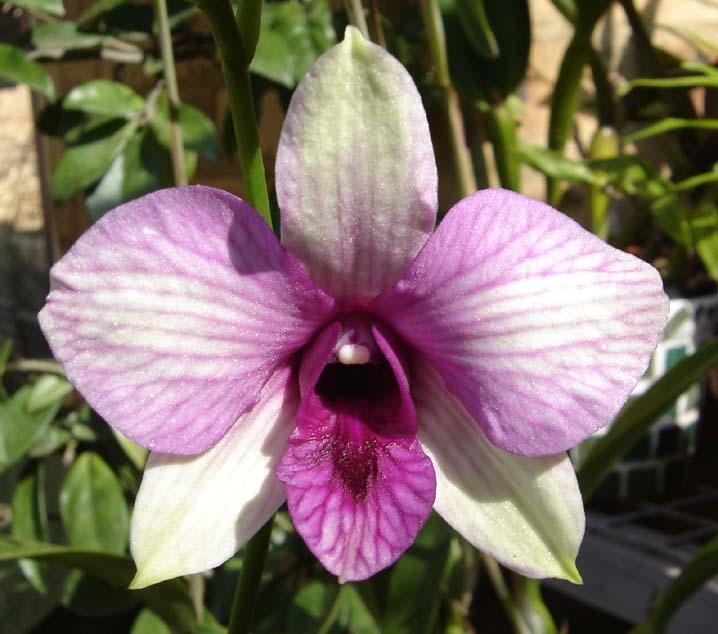 Dendrobium King Cobra. 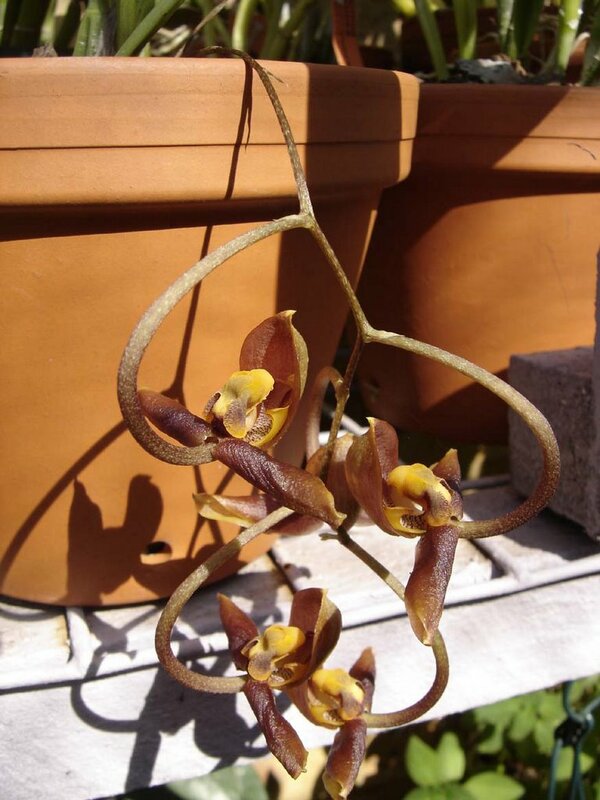 This relatively new addition to the collection has curiously twisted copper flowers on a nice upright inflorescence. 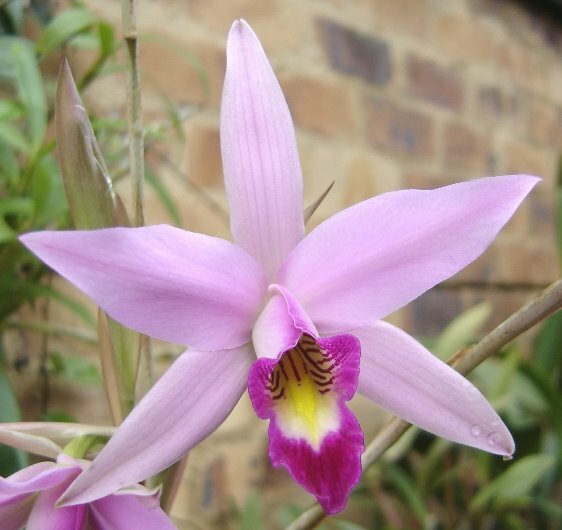 Laelia anceps. This Mexican species is renowned for being easy to grow and flower. Apparently, it is often found growing in coffee plantations. Always a winner, it's been used in too many hybrids to list, mostly for its open flower shape, intense colour and incredibly long flower spikes. Masdevallia Copper Angel 'Highlands'. 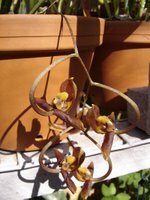 Masdevallia is one of my favourite genera. Miniature plants carrying enormous, triangular flowers with luminous colours - how can you not fall in love? 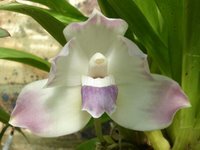 They like coolness and high humidity, since they grow in the cloud forests of the Andes, where temperatures are never extreme and moisture drips from every surface. 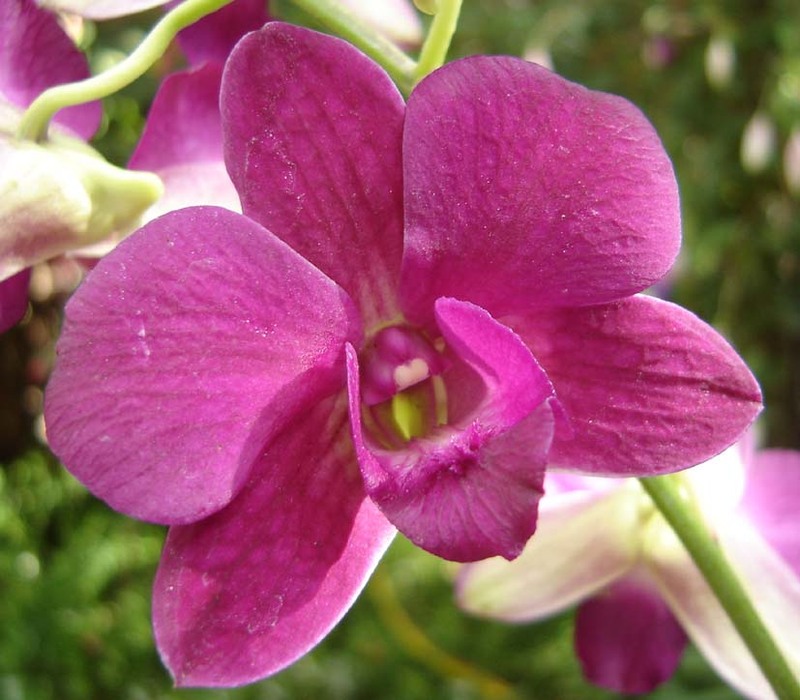 This exquisite hybrid is floriferous with open flowers carried singly on long inflorescences. The brightly coloured parts you see are actually fused sepals, the petals and lip being the much reduced structures in the centre of the flower. 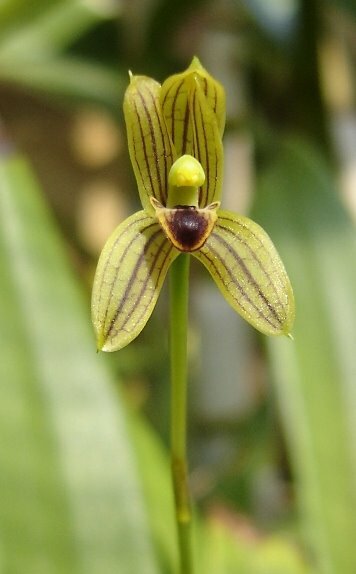 Dendrobium Nehama ben Juda. I'm not too sure about the name of this plant. The tag is quite legible, but this grex is not registered on Sanders' List. 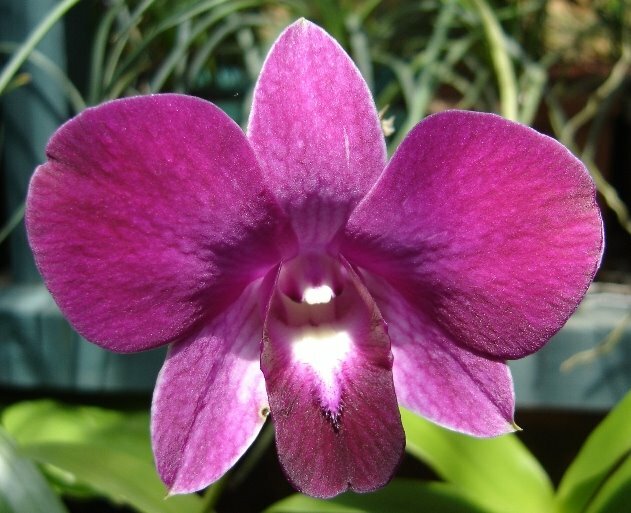 I've seen Thai hybrids that look identical, however, which were called Den. 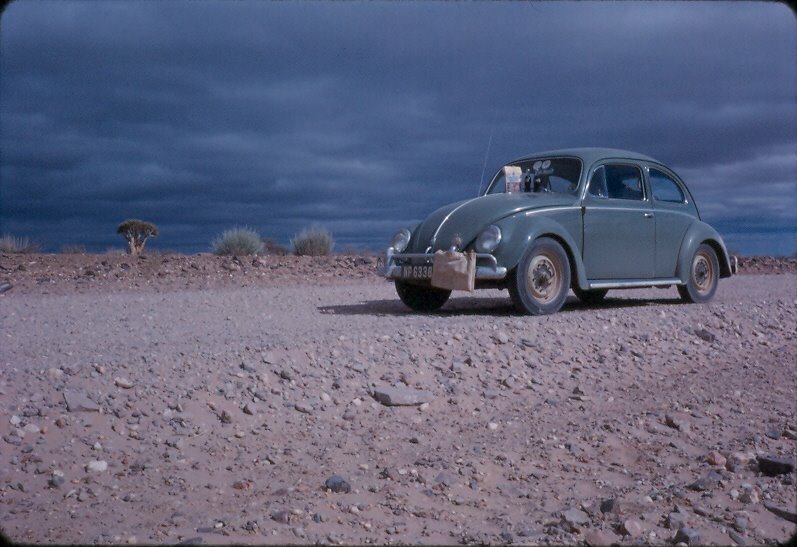 Pramote. This is a strong grower with tall canes to support the starry flowers, no matter what it's actually called. 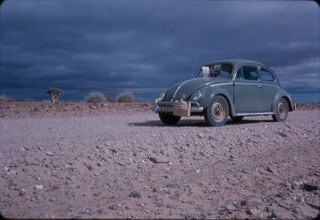 Mormolyca ringens. 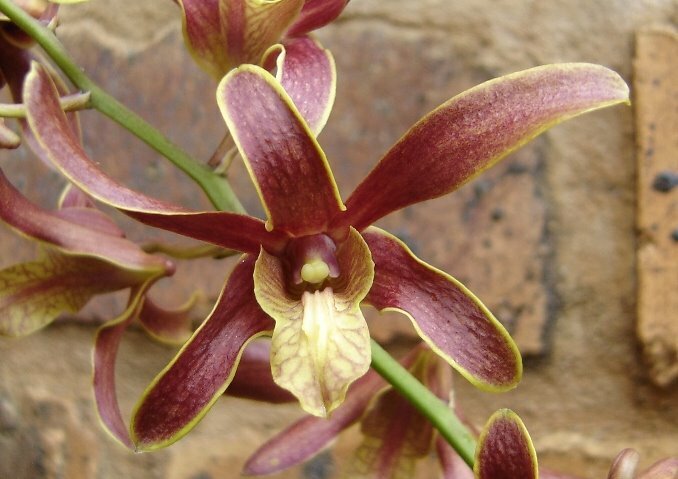 The name means 'hobgoblin' and I purchased this plant from the lovely people at Afri-Orchids last year. 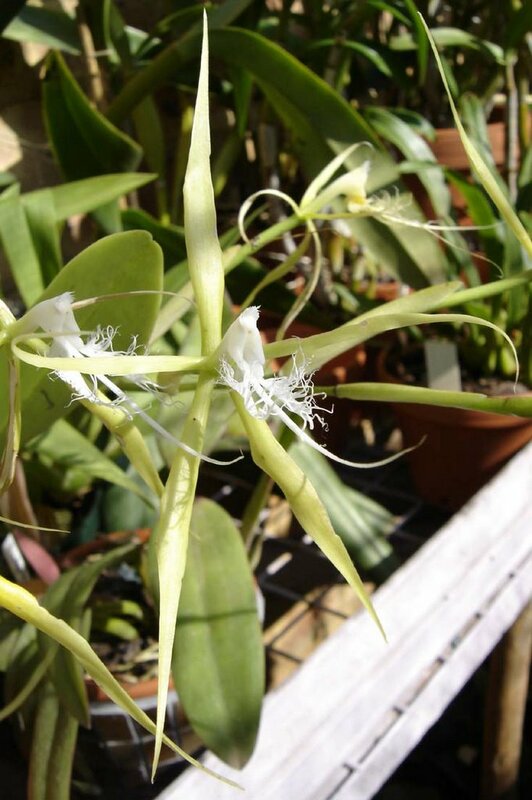 It has wonderfully round pseudobulbs and miniature greenish flowers (the one in the photo is only about 10mm in height). 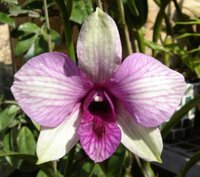 It is cultivated under shade net on the west side of the house and is watered twice a week; a regular wet-dry cycle seems to suit this orchid. Dendrobium Miss Singapore. A very famous hardcane dendrobe produced by the thousands for the cut flower market. It has superior colouring and the preferred full round shape. It often reflowers from the older canes. 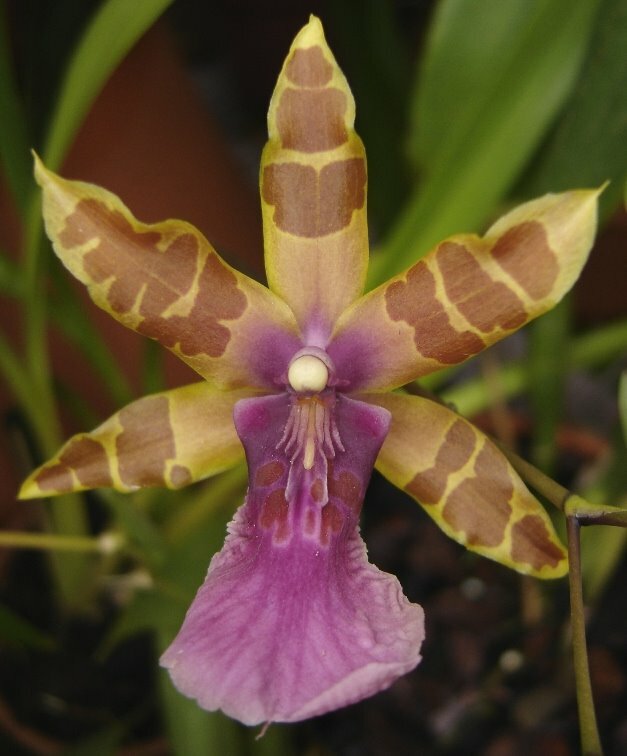 Miltonia Golden Jaguar. This was received as a division from a friend, and what a royal gift it is. 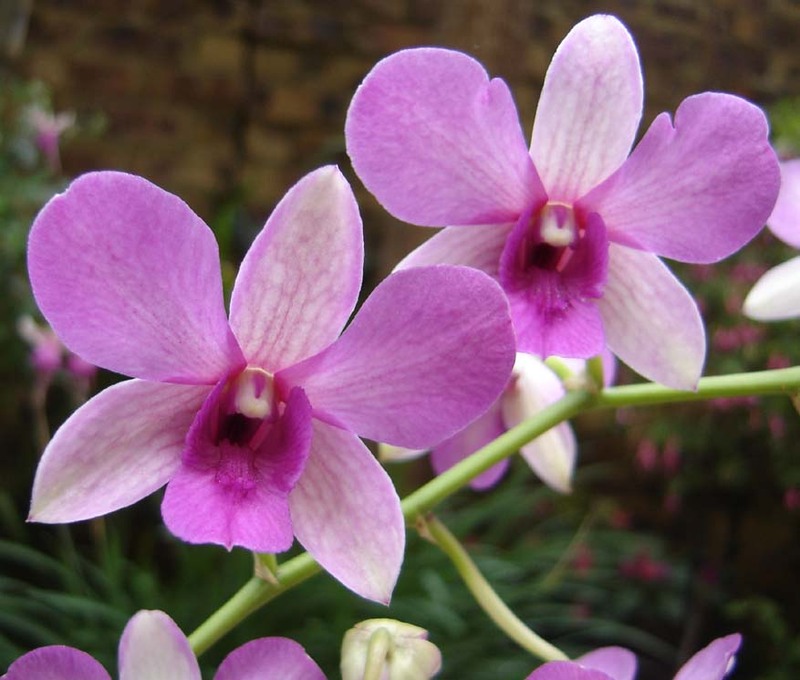 The long lasting blooms have distinct barring, giving it aptly feline features. The combination of golden yellow with the red-blotched purple lip is unusual adding to its appeal.